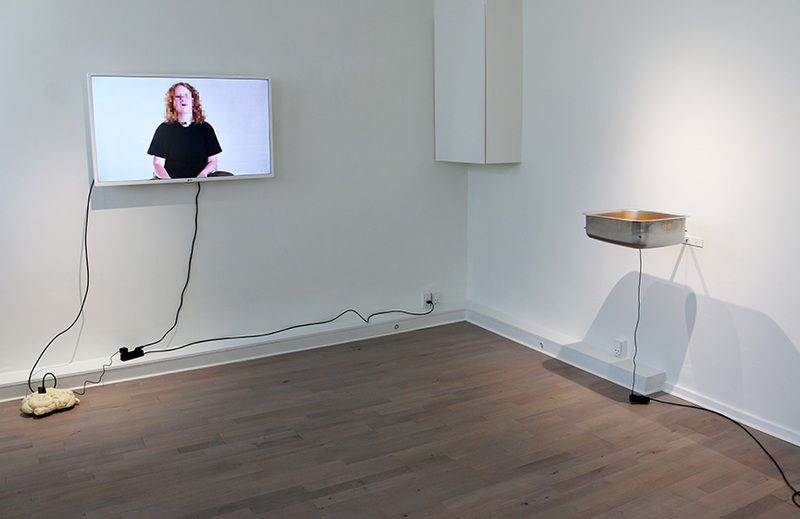 As a follow up to my last article on Prince Gallery I wanted to share with you a recent discussion between Eric Prince, artist and gallerist and Kristoffer Ørum about his latest exhibition Invisible Objects that will be on view from June 3rd to July 2nd at Prince Gallery in Copenhagen. EP: What's going on in the studio? KØ: At the moment I am working with a mixture of physical objects and wireless networks for my exhibition. I am producing a number of 'recognizable objects' to be mounted on the walls. 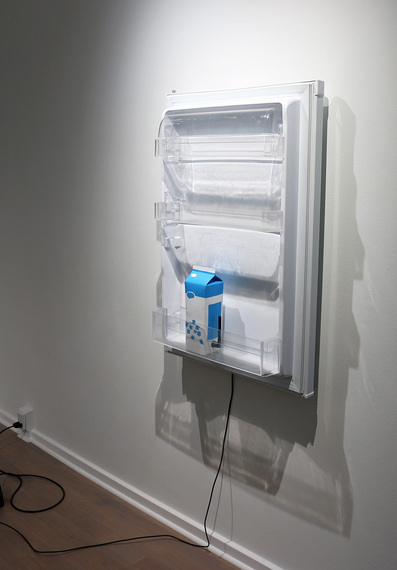 These objects can be divided into two categories: amorphous objects from PU foam containing custom built electronic equipment such as wireless routers or media players: or cast and hand painted versions of everyday foods such as milk, pasta or watermelons, also embedded with tiny transmitters. On a screen connected to a PU blob in the exhibition space a video interview will play back what appears to be anonymous interviews with members of the subculture that made these objects. These interviews are the result of improvisational excursus with a series of live workshops with action role-players. EP: So essentially, you are presenting your new works through a fictional sub-culture - can you expound? 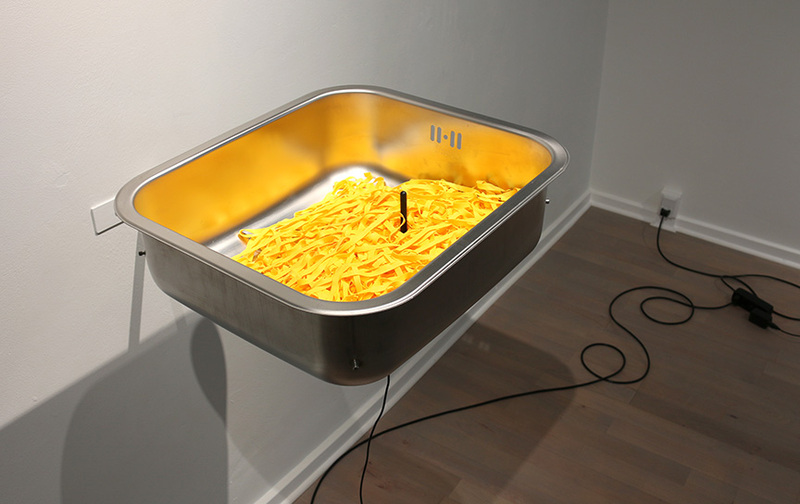 KØ: Through the sculpture, wireless networks and video interviews the exhibition's "Invisible Objects" will tell the story of an unnamed subculture - a fictional subculture that combines strategies from live action role-players, graffiti artists and hackers with inspiration from the historical avant-gardes and Russian dissident artists. Hopefully, they make a playful comment on the fact that we are not powerless against the increasingly ubiquitous invisible structures that increasingly pervades our digitized lives. 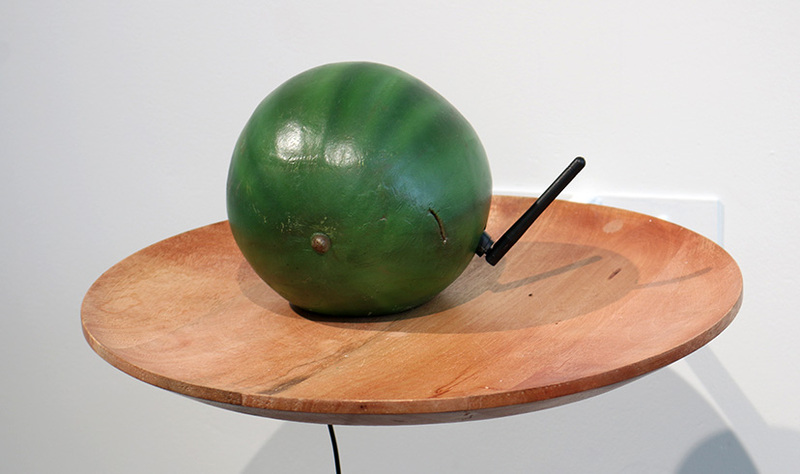 The members of the subculture and the content of the wireless networks show, by example, how one might act by abusing and modify the visible objects and invisible elements in everyday life. The exhibition will serve as a playful examination of the visible and invisible parts of our digitized everyday between art, daily life and politics. EP: Yes, I remember you speaking to me about this premise, I still think it's one of the most relevant thoughts in everyone's modern digitized life today, how we are incessantly checking our smart phones and feeling pretty powerless... However, I like the play and exploration in the art. KØ: Well, the exhibition is my first solo presentation of my work since 2012, when I stopped my collaboration with Anders Bojen. I think a lot of the impetus comes from a frustration with the romantic/nostalgic notions of revolution, rebellion and apocalypse that seem to be the dominant ways of imagining the current state of the world. I come from a background in both the early internet hacker/cracker scene and graffiti. I guess this is my way of imagining what would have happened if those two cultures had grown up with me, gone to art school and read/misread a little philosophy. It's an attempt at finding a way to remain unruly and unsettling in the art world by: making what appears to be dependable physically stable sculptures, that intact also exists in the relatively unregulated invisible space of wireless networks. 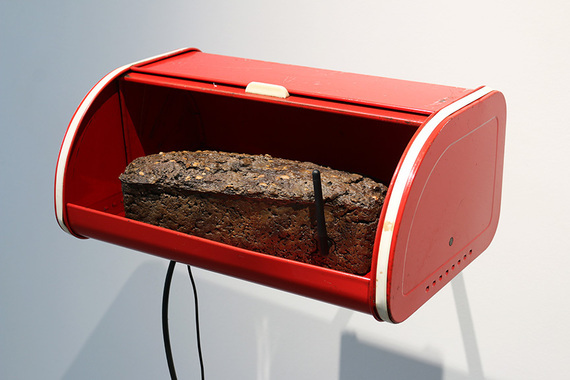 Just as the Soviet Nonconformist artists made poems out of their refrigerators, so that they were too ordinary to be subversive art in the eyes of the secret police - I am trying to produce recognizable art objects that emit weird stuff. That way, I see it as an act of smuggling, and not just into the gallery itself. EP: Will the works reach out into the public from the gallery space? KØ: Yes, as you know your gallery (Prince Gallery) is located in central Copenhagen, a place that in addition to the flow of tourists and traders also provide a free public space near a playground, theater and cafe. In the gallery, the works will establish a number of open wireless networks that seemingly allow Internet access, however, if you try to get on the Internet strange things will begin to happen. KØ: The boundaries between my art practice and my own life tend to be a little blurry - so much of what I work with come from my own everyday life. I try to avoid creating a stable narrative of artistic identity, in spite of pressure from the art market, funding structures and art historical developmental narratives. To put it simply, I reserve the right to deal with the issues that concern me here and now, rather than keeping it within the limits I have worked with in the past. Of course, this doesn't mean that I have no recurring interest, ideas and forms that I return to. It is just that I am more interested in developing my way of working, rather than sticking to specific topics or creating a coherent narrative of who I am. EP: Yeah, all my art idols were outside of the establishment. The market always seems to gravitate to some form of hierarchy, really wanting to place everything in some understanding kind of box. I have seen schools teaching the "out of box thinking", now becoming the box. Anyhow, I respect that you follow your own motives regardless of market demands. The obvious is that it's your art. These ideas are what people like the American critic Jerry Saltz seems to constantly speak about to artists and the markets "Free the f**k up!" KØ: It seems to me that economic fictions and theoretical dogma define so many of the discussions today, that fiction is a useful way to refuse, to submit, to the dominant discourses and narratives. It gets a little sketchy for our purposes, since it is too extensive to explain my basic idea here, but I guess my basic approach could be summarized as "fighting fiction with fiction." I hope to use "a sub-cultural imagination" to critically challenge the habitual thinking that characterizes both my own and the general perception of what contemporary art is or should be. For me there is still resonance to be found in the legacy of the historical avant-gardes that I think will remain long after the economic and institutional frameworks that contemporary art enjoys today have long since perished. I believe that this heritage constitutes an important tradition, but also that it does not perform particularly well on the contemporary art scene today. Fortunately, I am optimistic about the possibilities and can infect other traditions such as role-playing or computer games with elements of the avant-garde's healthy skepticism toward existing institutions and discourses. I am often categorized as digital or technological artist. It might not be completely wrong, but to me that is the digital arts tradition in continuation of some trends that have always been in the arts - trends that are about strengthening the viewer's free reading and blur the boundaries between life and art. The reason why the digital interests me is that it's going online, on your mobile phone or on screens around the public space affecting and interfering with daily life. I am not that interested technology as such, or how it "really" works, rather I am interested in how most people think technology works and how those beliefs shape the lives we lead. I hope to create new narratives of what digital technologies are and suggest ways using them to gain agency in our own everyday existence. 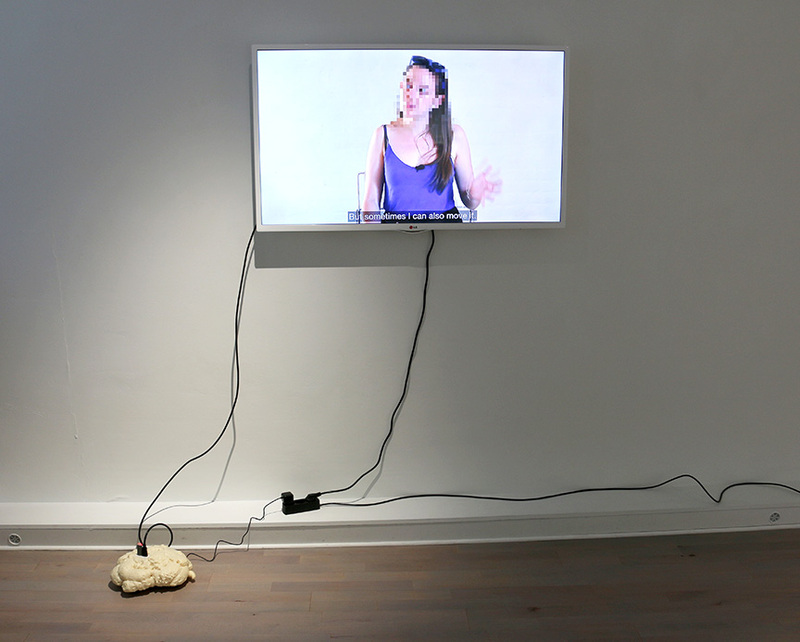 EP: Thank You Kristoffer, I think I am most anxious to watch the gallery visitors' reactions to your loaf of bread mounted to the wall, only to realize they are a part of a much bigger invisible picture, or art, as it were.